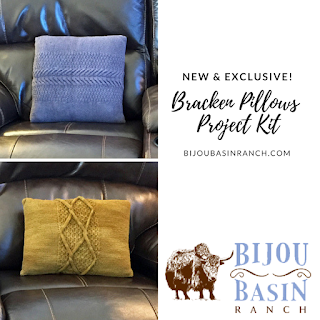 We are delighted to announce another kit we have just launched, the Bracken Pillows Kit by designer Therese Chynoweth. This kit features 3 skeins of Himalayan Trail yarn in your choice of colors, a copy of the Bracken Pillow pattern, and 3 stitch markers from Purrfectly Catchy Designs. These pillows are timeless, yet contemporary and will add just the right touch of elegance and luxury to your home. The pattern includes instructions for how to knit and assemble both pillows pictured and enough yarn to knit the pillow of your choosing, and today we’ll talk a little about about the techniques used in the pattern and share some tips and tricks for managing them. The square pillow pattern features a beautiful cable panel across the center. If you haven’t worked cables before, this is a fairly simple pattern to start with. Cables are created by adjusting the order in which you knit your stitches. In the simplest terms, when you create a cable, you will be pulling a few stitches off the needle and holding them aside (either to the front or back of your work) and then knitting the next few stitches. Then you will go back and knit the stitches you have pulled aside. This essentially twists the stitches together to form your cable. When you are first learning cables, the easiest way to practice is by using a cable needle. 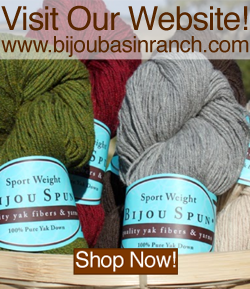 You can find these at your local yarn store or favorite online retailer quite inexpensively; there are a few different styles, but a cable needle is essentially a short double pointed needle. Some cable needles have a slightly bent shape to help keep your stitches from slipping off the needle until you are ready to use them. If you don’t have a cable needle handy, you can always use a spare double pointed needle (DPN) in its place. Congratulations, you have successfully knit a cable! 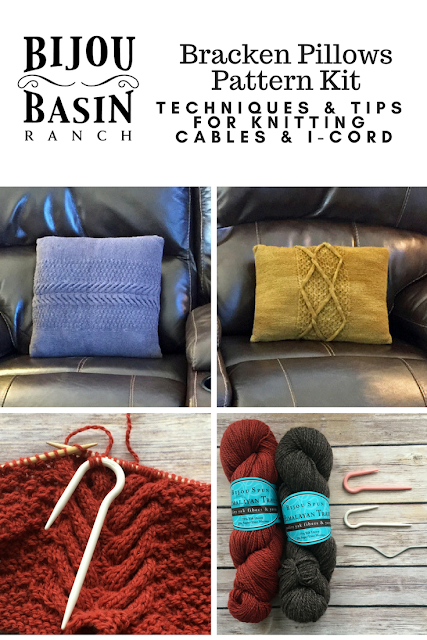 For those who have knit cables in the past and wish to try something a little easier and more efficient, you could try cabling without a cable needle. In this technique, rather than pulling the stitches aside on a cable needle, you’ll be removing stitches from the needle and pinching them together with your fingers. It sounds scary, but it’s really quite easy for smaller cables. For a great tutorial on how to cable without a cable needle, check out this Interweave post by Sandi Wiseheart. The rectangular pillow in this kit features a mini-lattice pattern, as well as some artfully placed I-cords for visual interest. In this pattern, the I-cords are created by picking up stitches at the cast on edges and then knitting those stitches into I-cords of a certain length. Then the I-cords you create are twisted, then tacked down and secured. Which begs the question, what is an I-cord? 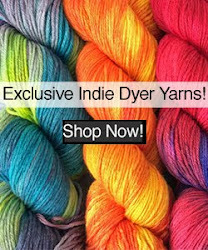 An I-cord is a knitted tube created by knitting the stitches in the round using DPNs. This is done by knitting a row of stitches on your DPN, then sliding the stitches to the right-hand end of the needle, bringing your yarn around back, and then knitting them again. Bringing the yarn around the back of your work will join the edges of your work together creating a hollow tube, or an I-cord. For a nice photo tutorial on how to knit an I-cord, check out this Purl Soho post. 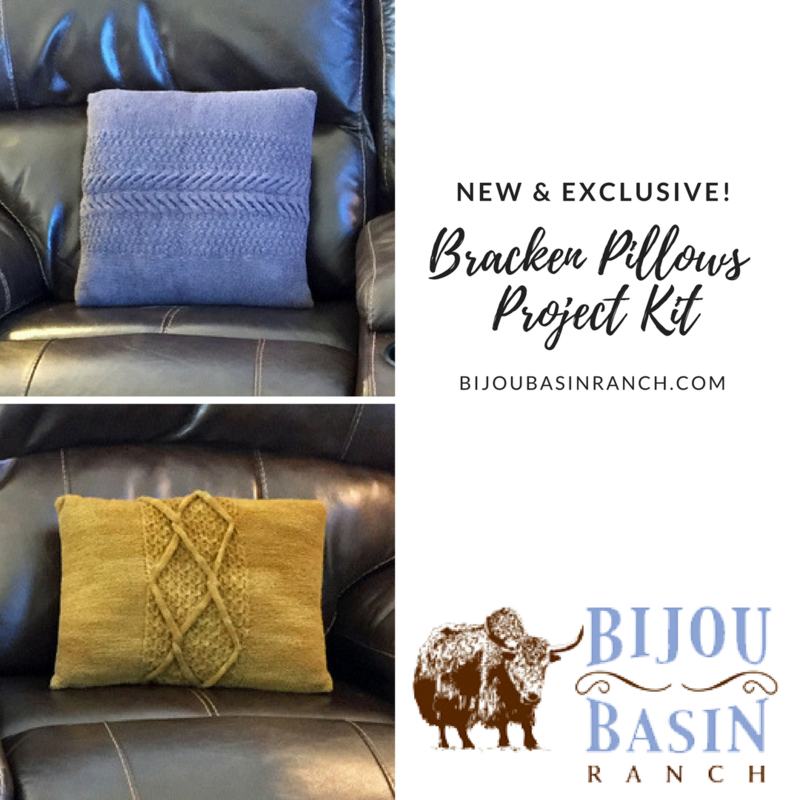 We look forward to seeing your finished Bracken Pillows - please share them with us on Instagram by tagging them with #bijoubasinranch and follow us at @bijoubasinranch where we post customer projects, new products and other fun ideas.